In our 20 years as a local home detailing provider for Raleigh, NC residents, we at Fairway Home Detailing have prided ourselves on our commitment to a high standard of service. We’ve used our time in the industry to not just do our promised work, but to also expand our capabilities, grow a team of specialists, and broaden our knowledge and training so that we can perform a range of services expertly. As we’re going into a new spring season, we’re excited to announce that the Fairway team has made a decision we know will benefit our loyal clients. For those homeowners that have allowed us to serve them again and again, we now offer membership in our exclusive Members Only program. 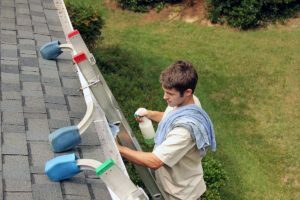 Being part of this membership will provide Raleigh clients with a monthly home maintenance service package designed to meet their home care needs with higher priority and more focused attention. Our team will be able to give more time and more value to Members Only program members and hone in on devoting the most detailed care to each client and home. The focus of our Members Only program is supplying value. We want our clients’ money to go further while getting more service and better care. To provide this level of attention, however, the program has limited availability. We’re now offering membership to interested clients that include all of the above interior and exterior home detailing program services. We’re excited to get this program underway and start delivering the priority care we’ve always envisioned. If you would like to be part of our Members Only program, you can schedule a consultation online. For questions, feel free to call Fairway Home Detailing at (919) 388-2204.